My cyber-presence has been pretty limited of late due to some overwhelming personal issues. But I'm still here and will continue my blogging as much as I possibly can. Yesterday to take my mind off things I decided on a bit of retail-therapy and had a bit of a browse on Delcampe. I found several nice additions to my Decaris collection and I thought I'd share them here with my fellow Decaris addicts. The images are of course not mine so they aren't of the greatest quality, but they serve the purpose of a sneak peak of what might be in store for you this year in Albert Decaris Stamps! 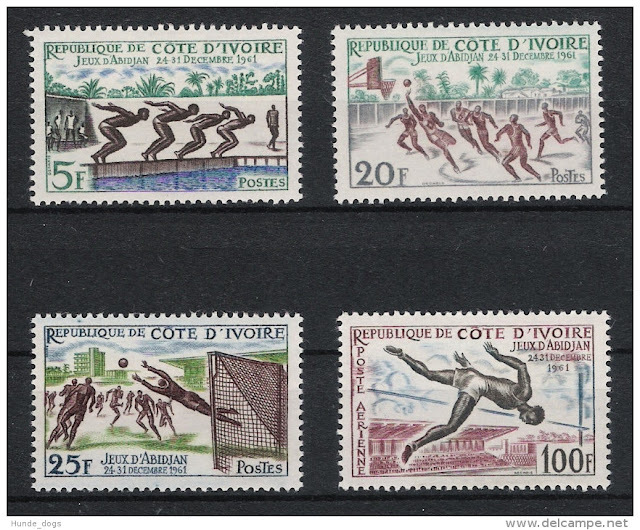 First up is a set from Cameroun, issued in 1964 for the Tropics Cup Games. 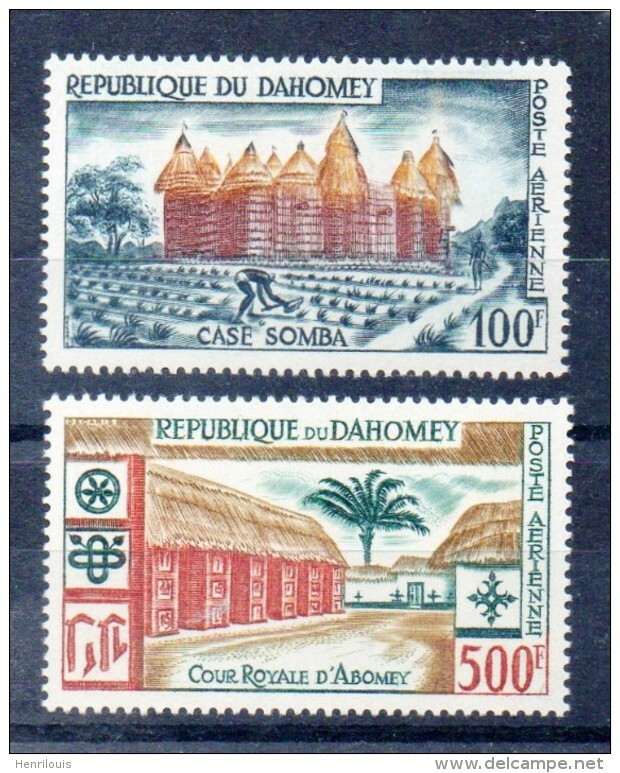 The next stamp is also from Cameroun and also issued n 1964. 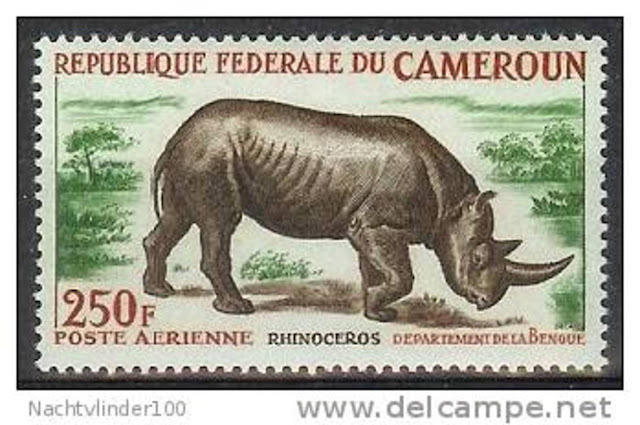 A stunning Rhino. I may at some point do a comparison between the rhino of Gandon and the rhino of Decaris. Could be fun. Next up is a set of five from Senegal, issued in 1961, showcasing sporting competition. My last purchase yesterday was a set of four from Ivory Coast, issued in 1961. So what do you think? 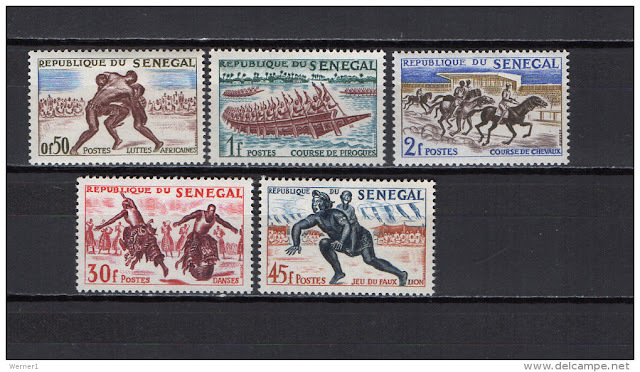 I'm personally really looking forward to adding these lovely stamps to my collection and doing some hi-res scans of them to celebrate their true majesty! Oh, yesterday I also placed a bid on a pair of Decaris engraved airmail stamps from Dahomey, issued in 1960. Here's hoping I win this pair for the minimum bid!